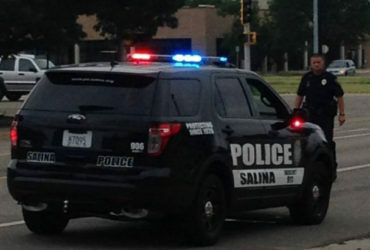 An officer who has been serving and protecting Salina for over 35 years called it a career on Friday afternoon. Family, friends, and colleagues gathered to honor and say goodbye to Salina Police Captain Mike Sweeney. Sweeney started with the department in 1981 as a reserve officer. He had just been discharged from the United States Air Force and was studying criminal justice at Kansas Wesleyan University. In 1983 he was hired as a full-time officer. During his career Sweeney worked his way up through the ranks, attaining the rank of captain. Along the way he commanded all three divisions of the agency including patrol, administration, and drug task force. He was also the department’s first polygraph examiner. Sweeney credited the Kansas Highway Patrol’s Cadet Program, which he participated in while in high school, to motivating to a career in law enforcement. Sweeney said he looks forward now to being able to spend more time with his family.